Hannah Lupton – From being the first contact for many of our new members to our resident bailiff when it’s subs renewal time, she is well known to everyone in the club. She works tirelessly in her capacity as Membership Secretary but also supports the treasurer, president and secretary in many of their duties too. 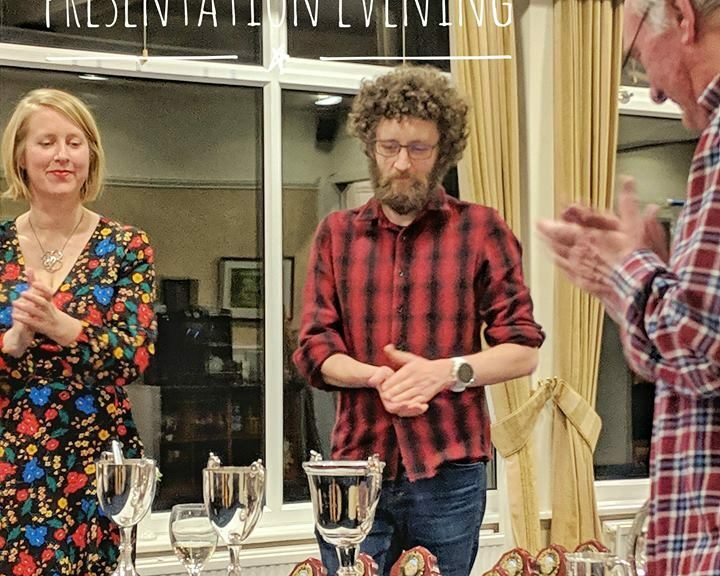 Her no-nonsense, potty mouth approach hides a heart of gold and it is due to her commitment to the Otley AC that Hannah Lupton is the recipient of the 2019 President’s Cup. Thanks to everyone that made the awards do happen and well done to all the winners. Fantastico to all you “Black and whites” you have all done great! GREAT CLUB and members! Oooh I should make it clear the presentation is courtesy of Laura Hind! I agree with Tamara W. Hannah L. A top secretary and a strong ultra distance runner , Mark H. A super fast top runner , Howard J. a fabulous competitor , Phil R. Extraordinary indeed , Bob P. A determined and focus new champion , Tom H. Powerful runner and great experience , Andy W. Consistency on running at his best , Phil R. Still Extraordinary indeed , Colin B. What a runner , he is brilliant on the hills and good on tarmac , Vicky S. A powerhouse , awesome running .